The film is to me just another ghost story, I don’t really care for them. But at least this goes for more chills than in your face horror. I heard good things about this film and I get why people would like it because it’s the best of its kind for a while. The advice I would give to readers is, If you like chilling ghost stories then this is for you because it is clever and well made. Tim’s Film Reviews: well now I can only advice a rental. Rental! To start off let’s talk about the acting. The acting was pretty good, got some big stars with experienced acting careers (Daniel Radcliffe, Ciarán Hinds). The two main characters where pretty much all you see with a small group of villagers, must have cost nearly nothing to make this other than location costs and two mains I don’t see much expense. Daniel does very well as the main lead and surprisingly made me forget about him being harry potter. But I am afraid there wasn’t much to see on the side of acting skill because most of the time Dan was just walking about a creepy mansion with little change for the 1 hr. 34 min. Runtime. The special effects were alright, but to be honest I don’t think it needed them for this film. Now then the plot, I liked the story because it was very familiar in that it sounds like one of those stories you hear from your friends when you go camping or something. So in that sense it can work very well in the UK. The only thing I would complaint about is that cheap effect of putting some sounds massively louder than others, it’s not scary it just makes people jump there is a difference. The best review I found would be “Director James Watkins expertly uses shadows and empty spaces to create a percolating sense of dread, and he waits until the last possible moment before allowing his audience the catharsis of a shock.” Robbie Collin. This review pretty much sums it up very well and I agree with the sense of dread and use of empty spaces. 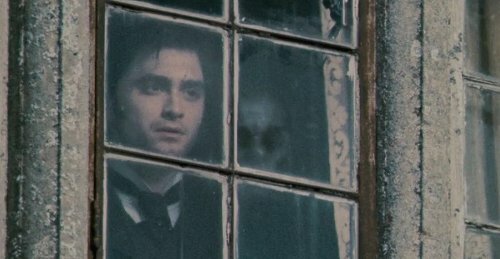 My favourite scene would be the shot in which you see the woman in the window next to Daniel, that’s a clever shot for chills. I thought the film was very good, with great ending, and Radcliffe impressed. However, I also thought that the film was ‘out of its depth’ and did not try to be something completely special, especially given the competitive market for such films nowadays. I watched this at the cinema and it completely killed the tension. There was a group of young girls in the audience and they laughed after each shock and jump moment and then tried to make each other jump. 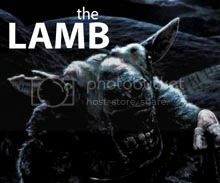 This is a film best watched in a dark room, doors closed and tension increased! My favorite thing about the movie was at the video store it had a sticker saying, “Don’t watch it alone!” Now what was funny was the shelf it was on blocked the word ‘alone’ making it read “Don’t watch it” I almost followed that advice, but eventually caved and watched it. Glad I did. That’s good marketing, for the love of god don’t watch it! Not especially original and not tremendously scary, but there are a few pleasurable jolts of fear, some shiver-down-your-spine moodiness and it doesn’t overstay its welcome for too long. Nice write-up Tim. 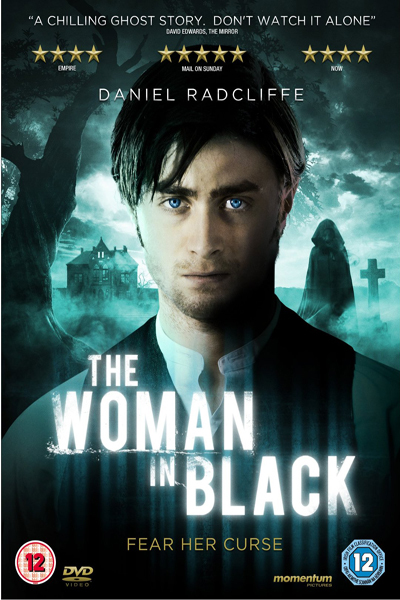 It is the best of it’s kind in a LONG while; I was thrilled to see Daniel Radcliff carrying the lead role. It’s especially fascinating to see him continuing to step outside a role that could have labeled him forever, if it was up to the media. I travel frequently on business for Dish giving me plenty of opportunities during long airport wait times to explore actors’ films that encourage me. 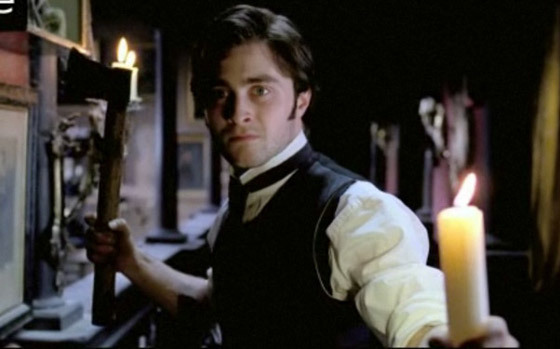 Having an old-fashioned ghost story come out staring an actor who’s piercing blue eyes really penetrate; showing pure empathy for his character is what Radcliff does well. I’m really curious to see the Potter movies now that I’ve seen Daniel’s abilities. In fact, my curiosity has driven me to subscribe to Blockbuster @Home so I can investigate him further; missed connections will be no sweat as long as I can see Radcliff’s eyes! It was slow but I did enjoy it. Those dolls and that monkey creeped me out though. Seriously. The rest wasn’t scary but it was very atmospheric which was nice. *giggles* Good point. I don’t do comedies too very often.